Two days ahead of the inter-Korean summit, officials from both Koreas are holding their first rehearsal session for the historic meeting between President Moon Jae-in and North Korean dictator Kim Jong Un at the border village of Panumunjom. A delegation from North Korea, led by State Affairs Commission official Kim Chang-son, will cross over the Military Demarcation Line (MDL) that divides the two Koreas within that village. On the day of the summit, Kim Jong Un will cross the line to the South, becoming the first North Korean leader to do so after the Korean War. It is also the first time an inter-Korean summit is held in the border village. The first two summits in 2000 and 2007 were held in Pyongyang. South Korean officials on Wednesday will practice meeting the leader on the southern side. 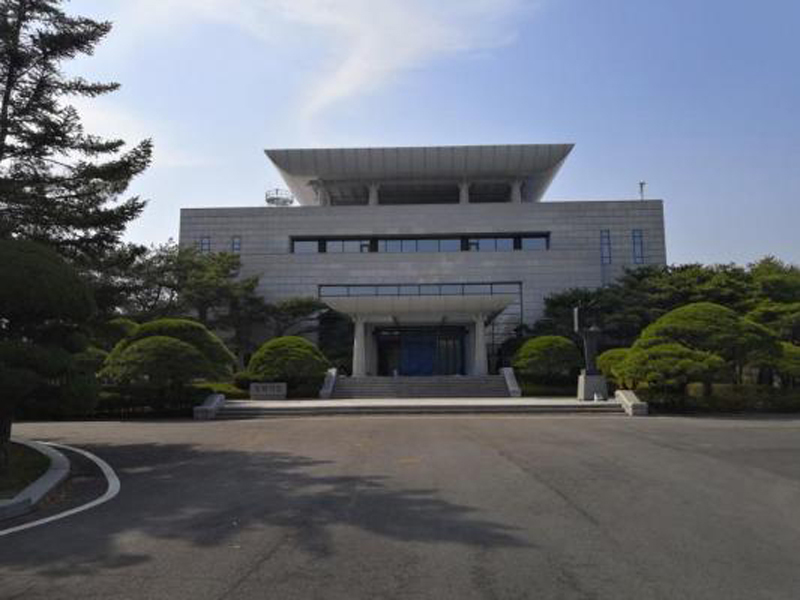 An official welcoming ceremony is set to take place in the grounds outside the Freedom House, which stands directly in front of the MDL, Seoul Economic Daily reported. Oraganizers are set to walk through President Moon's schedule, from his meeting with Kim and the route he will use to enter the Peace House where the summit will be held. Within the Peace House conference building, officials will act out introductions and greetings that will take place before the talks. At the official welcoming banquet held after the summit, Moon and Kim will have traditional dishes from the South and North, prepared by a top chef of a famous North Korean restaurant called Okrugwan. On Thursday, on the eve of the summit, Seoul will hold a final rehearsal on protocol and security measures, involving six officials who will attend the meeting with Moon, Yonhap reported.